Being born with a nose that is perfectly suited to your face is rare. Many people who feel their nose is too big, too wide or misshapen improve the way they look and feel through rhinoplasty. Raleigh facial plastic surgeon Dr. Adam Stein specializes in rhinoplasty and has helped well over thousands of men and women achieve a more natural balance to their face. Request a consultation with Dr. Stein to learn how rhinoplasty can improve the way you look at yourself, as well as how others see you. In Raleigh, rhinoplasty by Dr. Stein results in an aesthetically pleasing nose that complements your face. His technique requires a great deal of skill and artistry and has helped many patients to gain self-confidence. 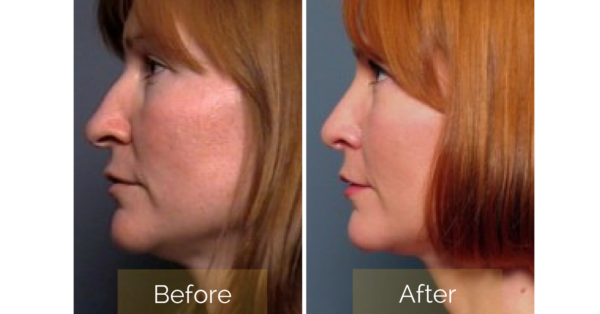 Visit our before and after photo gallery to see the amazing results Dr. Stein achieves through rhinoplasty. In Raleigh, rhinoplasty is performed as an outpatient procedure under twilight anesthesia also called IV sedation. Most incisions are concealed inside the nose or along its natural creases, eventually leaving no noticeable evidence of surgery. You may have some bruising and swelling around your nose and eyes, but most of our patients tell us any discomfort is easily managed with over-the-counter medication. You can expect to return to your normal routine within one week. As with any surgery, the most important part of recovery is allowing your body the time it needs to heal. Although the nose reshapes for up to a year, you’ll be delighted at the immediate improvement in form and function. While having rhinoplasty, many of Dr. Stein’s patients also choose to have blepharoplasty eyelid surgery to refresh their appearance or facial implants to enhance the contour of their chin and cheeks. Combining these procedures is an effective way to achieve greater facial rejuvenation. In your initial consultation, you’ll find Dr. Stein to be a friendly, personable man who takes his time to answer all your questions and address any concerns. He begins each consultation by discussing your goals and evaluating the proportion of your face and nose. Many patients bring in pictures of celebrities to demonstrate features they like and don’t like. This helps Dr. Stein understand your desired results, and he will use your ideas to create a personalized solution that enhances your natural appearance. Interested in learning more about a nose surgery (rhinoplasty) procedure? To meet with Dr. Stein, a double board-certified facial plastic surgeon, request a consultation at our practice by filling out the form on this page. Or, call our office at 919.261.7099 to schedule your appointment. Stein Plastic Surgery serves patients in the Raleigh & Durham, NC areas.